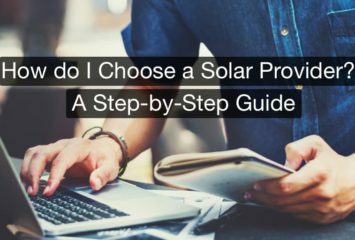 The installation process for solar panels has never been easier, but it’s important to know what to ask your solar installer. You need to ensure they have the necessary experience and knowledge and ensure they can match you up with the best solar PV system for your home and energy needs. Knowing what to look for in both an installer and an installation can help you avoid costly installation issues. 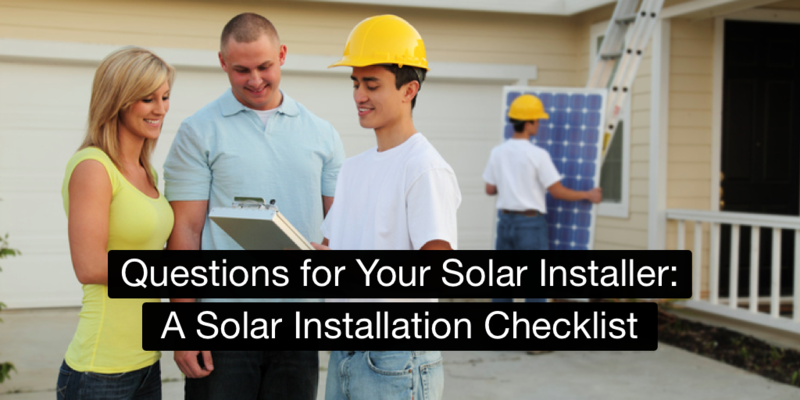 Throughout this article, we’ll discuss what you should know before your solar system installation and what questions you should ask your installer. Solar-specific licensing is becoming more common as installers continuously join the current market. Presently, 12 US states have solar-specific licensing. The North American Board of Certified Energy Practitioners (NABCEP) is one of the most prevalent licensure boards today. The organization’s certification involves rigorous training, testing, and re-certification.1 So, if your installer is certified by the NABCEP, you can be sure they’ll get the job done properly. The NABCEP and their certification programs are available on a voluntary basis in many states, even in the absence of solar-specific licensure requirements. Some states, like Utah, require NABCEP certification before a solar contractor license is awarded, while other states, like Maine, only require NABCEP certification for state rebate funds. In states that do not require NABCEP certification or a solar contractor’s license, other certifications are still often required before a solar installation can commence. In almost all states, a master electrician’s presence is required during a solar installation. Many solar installations also require roof-mounting racks that necessitate an on-site licensed general contractor or roofing contractor. These certifications and licensures ensure that your installation is done carefully and within all local building codes and safety protocols. Be wary of any installer who falls short of a necessary licensure. Are you licensed and insured? It’s a good idea to take down their specific license identification number so you can confirm their good standing with the licensure board. You’ll also want to check your solar contractor’s licensure and certifications against your local codes and requirements. Have you received additional certifications? These are a great indication of the contractor’s commitment to current standards in solar installation. While there are veteran solar installation companies with more than 30 years of experience, the rapid growth of the market generated a large pool of relatively inexperienced solar contractors. If you can choose between several solar contractors for your project, it’s usually best to go with an installer that has local experience. In addition to understanding which solar systems are best for your area, local contractors are often well-equipped to negotiate an interconnection agreement with the utility company, which we’ll address in a later section. If you’re in an area with a lot of solar panel installations, ask your neighbors about their installer. Gathering positive recommendations is a great way to find a reliable installer. Some solar power installers even have referral programs that include a discount or rebate on your installation. Keep in mind that the number of total installations is not always an indicator of quality. Even if an installer has plenty of installations under their belt, you should look for other indicators of quality, such as customer testimonials. Be wary of any solar installer that hesitates to provide testimonials of past customers or examples of their work. You can also look to review aggregates like Yelp! and Angie’s List for third-party references. Also, take into account that newer installers may have more certifications and more up-to-date technologies and products than veteran installers. Have you been in the area for a while? How many installations have you done? Ask how long the installer has operated in your region, and how many customers they service. Do you have any customer testimonials I can look at? If the installer doesn’t have any testimonials available, remember you can also seek out reviews online. How familiar are you with local certificates, rebates, tax credits, and green energy markets? You don’t want to miss a potential rebate because your installer hasn’t stayed on top of all eligible programs. Your local utility company will require an interconnection agreement before your solar installation can be connected to the grid. Without interconnection, you may be left with useless panels that cannot legally generate power. Almost all installers will take care of the interconnection agreements for you, including the net metering activation to credit you for excess solar electricity that goes back to the grid. How long will it take to get an interconnection agreement? If your installer doesn’t have this information, you may want to look further into their qualifications. If you haven’t contacted an installer yet, you can call your local utility company yourself and find out if they’re currently accepting new solar system interconnection agreements. You may be put on a waiting list for approval. What happens to the excess energy my panels produce? 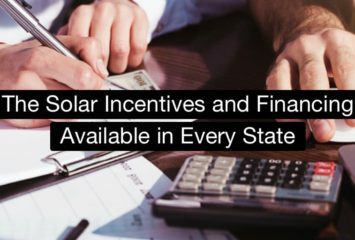 Find out if your state has a solar marketplace for the excess electricity your system generates. Your installer should be familiar with the details. Will you be filing for the interconnection agreement? Ask if your installer is familiar with the interconnection process, including all the necessary paperwork and system specifications as defined by the utility. Solar systems are very reliable. It’s likely your system will last for the entirety of your warranty period without any maintenance issues. This makes it very easy for solar companies to offer very long warranties and maintenance programs without a great deal of risk. Almost all solar installers offer warranties of 10–20 or more years, and a panel can keep producing electricity for 25 years or more. Still, it’s rare to see costly issues such as corrosion, broken wiring, dead panels, or structural damage within the first two decades of having your solar system. However, because solar panels last so long, you may want your home’s roof checked for structural issues. A roof replacement 10 years down the line may be difficult if you have to remove and replace your rack and solar panels. The whole process can cost you thousands of dollars. Your installer should be able to determine your roof’s integrity, either through a third-party roofing contractor or a licensed and certified contractor on their staff. What exactly does the warranty cover? Ask about the extent of damage and maintenance covered by the panel manufacturer’s warranty. Also, find out how the warranties will be fulfilled. How long will it take your installer to send a crew in the event of an issue? What additional warranties are there and what do they cover? Most reputable installers offer warranties that supplement the manufacturer’s warranty; this can be a good indicator of the reliability of your installer. Are there any manufacturer guarantees? Ask about any production guarantees provided by the manufacturer. Do you know if home insurance covers solar installations in this area? Check and see if your solar installation is covered under your existing homeowners insurance policy. Because solar installations can take years to pay off, you’ll want to avoid potential issues that prevent you from maximizing your electricity production and return on investment. It’s critical to ask an installer all of these questions before moving forwards. By verifying details for interconnection, maintenance, financing, and licensure before work begins, you can mitigate unexpected surprises.